Can Collette make our airline reservations? Can Collette get advanced seat assignments on the aeroplane? What is a private airport transfer? A double room is designed to accommodate two people, but may not have two separate beds. A twin-bedded room has two separate beds of any size, and is the type most commonly utilised. A triple room is the same size as a twin-bedded room and beds will accommodate three people, but we cannot guarantee that there will be three separate beds. If there are only two beds, a rollaway may be requested but cannot be guaranteed due to size of room and fire codes. Please enquire at time of reservation. 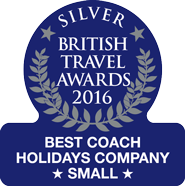 On many tours, triple and single accommodation is limited and are available on a first come, first served basis. Be advised that single rooms are often smaller. Access to some attractions or Collette Foundation sites may be affected by the observance of holidays, weather conditions or other circumstances. As a result, the days and order of sightseeing may change to best utilise your time on tour. Boat rides are weather permitting. Some attractions may not be available during the "off-season" months. When attractions are unavailable, other similar attractions will be substituted. Wildlife sightings are not guaranteed. Government-issued identification is required for all air travel. A valid passport is required for all trips outside the UK. All passengers should check with the appropriate foreign consulate for entry and validity requirements. We recommend that your passport has six months validity, and at least 3 blank pages. Passports and visas are the responsibility of each guest. Any child under age 16 (travelling without a parent or legal guardian to Canada) must have written permission from a parent or legal guardian. Please be advised that if you have been convicted of an offence, or have committed a criminal act that is an offence under the laws where it occurred and would be an offence in Canada, you may be inadmissible into Canada. You will need to apply for a Minister's Permit of Approval of Rehabilitation at a Canadian Consulate. All other travellers should contact the appropriate consulate for entry requirements in other international destinations. In South Africa, children are required to have a passport as well as additional documentation to travel with you into and out of the country. Please consult the South African Embassy for the current specific requirements related to your travel dates. Should you decide to change your reservation after initial booking, a handling fee of £25 per transaction will be charged. A change of tour date, tour itinerary or passenger name, within the guidelines of the cancellation policy, will be treated as a cancellation and regular cancellation fees may apply. Tour pacing varies by itinerary, and each destination's sightseeing and activities are unique. Pacing is subject to personal interpretation. At Collette, we do include the best a destination has to offer, enhancing your overall tour experience. For overnight pacing of a tour, please refer to the "Accommodation" section on each tour page and on the tour map. This section provides information about the number of nights you will stay in each hotel during your tour. The day-by-day descriptions will provide additional information about the number of activities included in each day. The Tour Activity Level Ranking is featured on each tour itinerary in a circle. The definition of each activity level is listed below. If you have additional questions regarding a specific tour, please enquire at time of reservation. For your comfort, we recommend packing comfortable walking shoes so you can fully enjoy every aspect of your tour. Level 1: At a very leisurely pace, this tour involves minimal physical activity, such as climbing some stairs, boarding a coach, and walking from the hotel reception area to hotel rooms and dining areas. Level 4: To truly experience the programmeme and destination, you need to be able to participate in physical activities such as longer walking tours, walking over uneven terrain, climbing stairs and periods of standing. Some of the touring days may be longer, with select included activities occurring later in the evening. Level 5: This tour is very active, requiring participants to be physically fit to fully enjoy all the experiences. This itinerary has more strenuous activities which may include the following: extensive walking tours, transfers over uneven and dusty terrain, high altitudes, early morning departures, late night activities, or extreme temperatures. All conditions do not apply to all days, so please read the itinerary carefully and speak to one of our travel consultant to determine if this tour is right for you. We recommend this programmeme to individuals who are physically fit. Unfortunately, this tour is not appropriate for individuals who use either walkers or wheelchairs. If this trip is not ideally suited for you, our travel consultant can help determine the perfect trip for you. Roundtrip airport-to-hotel transfers are provided for all passengers who purchase airfare through Collette. These transfers do not apply to pre- and post-night stays. Passengers who do not purchase airfare through Collette can purchase transfers (for the first and last day of the tour). Some restrictions may apply. All transfers leave at prescheduled times. 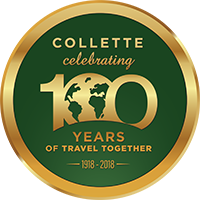 All passengers who purchase pre- and post hotel nights through Collette may also purchase transfers to/from the airport and the pre- or post-hotel. Please enquire at time of booking. This is your transfer to and from the airport. The service is available for all air-inclusive tour bookings and it is for distances of up to 150 miles from the point of collection to the departure airport. A supplement is payable for distances over 150 miles. Mileage is calculated using Google Maps. 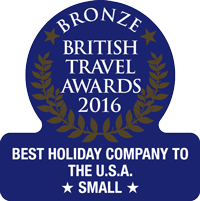 The service is offered per booking in the mainland UK and Northern Ireland only. Complimentary private airport transfers do not apply to tour only bookings or group bookings. It's our way of saying thank you for making us your #1 choice in guided travel. If you've travelled with us in the recent past and are not in the programmeme, you can sign up today! †£75 of the credit remains valid within 13-24 months. Credit expires 24 months after the original trip.